SYMONDS, HERBERT, Church of England priest, professor, theologian, and author; b. 28 Dec. 1860 in Rickinghall Inferior, England, son of George Symonds, a businessman, and Hannah Wright; m. 27 May 1883 in Bobcaygeon, Ont., Emma Blackhall Boyd, sister of Mossom Martin Boyd*, and they had three sons and four daughters; d. 24 May 1921 in Montreal. Herbert Symonds was educated at Framlingham College in England and, after arriving in Canada in 1881, at Trinity College, Toronto (ba 1886, ma 1887). He also took a postgraduate course in theology at the University of Cambridge. During this period he came under the influence of the Broad Church school of Anglicanism (favouring a liberal interpretation of doctrine) and looked to the writings of such figures as Frederick Denison Maurice and Charles Kingsley of England and Phillips Brooks of the United States for inspiration. He was ordained deacon in 1885 and priest on 6 March 1887 by Arthur Sweatman*, bishop of Toronto. In 1887 he became a fellow of Trinity College and a lecturer there and three years later he was appointed professor of divinity. His Broad Church views accorded ill with the traditional Tractarianism of the college. He upheld the comprehensiveness of Anglicanism and advocated the legitimacy of doctrinal restatement and the adjustment of forms of worship in accordance with the perceived needs of modern discovery. In 1892 he accepted the parish of St Luke, Ashburnham (Peterborough), and in 1901 he was named headmaster of Trinity College School, a prestigious boys’ school in Port Hope. In 1903 Symonds returned to the parochial ministry, becoming vicar of Christ Church Cathedral, Montreal. This was not an easy position. 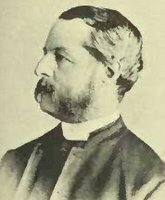 The diocese of Montreal under Archbishop William Bennett Bond* was generally very conservative and it had been convulsed by controversy in 1901 over the liberal teaching of the Reverend Frederick Julius Steen, a professor at the Montreal Diocesan Theological College. Symonds was to find more understanding, although not outright approval, under John Cragg Farthing*, who was elected bishop of Montreal in 1909. Since the rector of Christ Church, John George Norton, was not active in running the parish, most of the parochial responsibilities fell on Symonds. He proved to be a successful and popular incumbent. 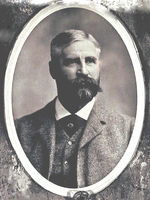 Symonds was widely sought after as a speaker in Montreal, elsewhere in English-speaking Quebec and Ontario, and in the United States. He was also actively involved in educational and civic affairs in Montreal. He served as president of the Protestant Board of School Commissioners of the City of Montreal from 1907 to 1912 and was associated with various charitable organizations. He received two honorary degrees, a dd from Queen’s College, Kingston, in 1901 and an lld from McGill University, Montreal, in 1912. In 1918 he helped organize and acted as chairman of the Committee of Sixteen, which sought to combat organized prostitution in Montreal. Symonds’s modernist or Broad Church theology found expression in two particular areas: doctrinal reformulation and inter-church relations. His attempts to rethink the formularies of the Church, and in particular the Nicene and Apostles’ creeds, became the focus of endless controversy. He insisted that the teaching of Jesus had to be expressed anew in every age in order to address contemporary concerns and that the traditional formulations should not bind modern thinking. Although his position had wide-reaching implications, attention focused on what was perceived as Symonds’s denial of the doctrine of the virgin birth. His views on the matter are not in fact entirely clear, but the controversy that they provoked would prompt demands in 1919 that he be tried for heresy. Symonds’s theological position on inter-church relations is succinctly set out in his Lent letter of 1918, addressed to the congregation of Christ Church. He was then in England visiting the Canadian Expeditionary Force. In this letter he outlined “the main heads of the religious, theological and ecclesiastical needs of our time.” He made an “earnest plea for a larger fellowship between Christian people” and felt that “ministers of other Churches than our own should be admitted to our pulpits, and that members of other Churches should be welcomed to our altars.” “We must realize,” he stated, “that our agreements are far more important than our differences.” The letter claimed that his experiences with the army had been central in the formulation of these points, but in fact they were a distillation of views that he had held since the 1890s. The subject of inter-church relations and union had attracted Symonds early in his career and it was to be one of his major preoccupations. In 1899 he published Lectures on Christian unity, the first of many writings on the subject. In 1909 he reluctantly agreed to Bishop Farthing’s request that he not publicly invite non-Anglicans to receive communion at the Christmas and Easter services in the cathedral. Farthing refused to attend the services if he did so. Symonds was among a small group of Anglicans who in 1912 presented a memorial to the Canadian house of bishops requesting that Anglican pulpits and altars be opened to non-Anglicans. In 1913 Symonds accepted an invitation to preach at St Giles Presbyterian Church in Montreal. The ensuing furore included an admonition from Farthing and demands that Symonds be tried in a church court. Farthing refused to allow such a trial. The incident was only one of many during his ministry in Montreal. In 1920 there was renewed concern when Symonds attended a service of the Unitarian Church of the Messiah in Montreal. 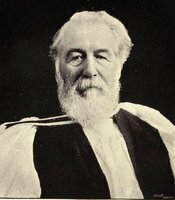 Although Symonds’s stand was unacceptable to many Montreal and Canadian Anglicans, it did foreshadow the greater openness of the position adopted by the Lambeth conference of 1920 in its “Appeal to all Christian people,” which set forth the Anglican desire for church reunion. Symonds’s actions were practical applications of his view that all English-speaking Protestants were essentially one in faith and that the differences among them were of minor importance. He denied the doctrine of the apostolic succession held by many Anglicans and favoured a federation of Canadian churches. Symonds’s position was unusual for most Anglicans and must be seen against the background of the negotiations then in progress that led to the formation of the United Church of Canada in 1925. Herbert Symonds fell ill on 27 April 1921 while on a speaking tour in Ontario and died almost a month later. He was buried in Mount Royal Cemetery, Montreal. Except as a popular priest, his reputation has faded over the years. Theologically, he has had no lasting influence, partly because he left no systematic body of writing. While many of the questions that he raised are still of importance – such as ecumenism and the interpretation of the creeds – his solutions now seem overly simple and have been largely superseded. As did many modernists in the Anglican and other Protestant churches, Symonds undervalued the importance of doctrine, giving it little weight in his plans for church union or in his preaching and teaching. Still, he was one of the few Canadian representatives of the Anglican Broad Church school and as such deserves to be remembered. His legacy, and that of the modernists, is more one of the spirit than of practical achievement; the willingness to engage in open discussion of theological issues is now more common but is also more firmly grounded in doctrine. Herbert Symonds wrote the articles “Church unity” and “The idea of progress” in the Canadian Churchman (Toronto), 2 and 9 Nov. 1916 and 19 July 1917, respectively. His publications also include: Trinity University and university federation: an essay addressed to the council of Trinity University and the members of convocation ([Peterborough, Ont. ], 1894); Lectures on Christian unity (Toronto, 1899); The Anglican Church and the doctrine of apostolic succession (Montreal, 1907); The Broad Church: a sermon preached in Christ Church Cathedral, Montreal, December 30th, 1906 (Montreal, 1907); Religion after the war: a sermon-lecture (Montreal, 1916); Lent letter (n.p., ); and A spiritual forward movement: an open letter to Rev. Dr. Fraser, principal of the Presbyterian College, Montr[e]al, which was written sometime between 1918 and his death and likely published in Montreal. Anglican Church of Canada, Diocese of Montreal Arch., Clergy files, Herbert Symonds; Episcopal journals, James Carmichael, 1907; J. C. Farthing, 1909, 1911, 1913, 1915, 1919–20. Committee of Sixteen, Preliminary report . . . ([Montreal], 1918); Some facts regarding toleration, regulation, segregation and repression of commercialized vice (Montreal, 1919). J. C. Farthing, Recollections of the Right Rev. John Cragg Farthing, bishop of Montreal, 1909–1939 ([Montreal, 1946?]). Herbert Symonds: a memoir (Montreal, 1921). “The late Rev. Herbert Symonds, d.d., ll.d.,” Montreal Churchman, 9, no.8 (June 1921): 11. Richard Virr, “SYMONDS, HERBERT,” in Dictionary of Canadian Biography, vol. 15, University of Toronto/Université Laval, 2003–, accessed April 20, 2019, http://www.biographi.ca/en/bio/symonds_herbert_15E.html.